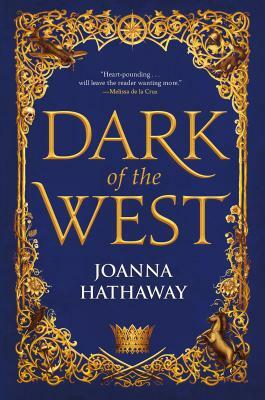 "A novel of court intrigue and action-packed military adventure,"* Joanna Hathaway's Dark of the West, is a breathtaking YA fantasy debut--first in the Glass Alliance series. Joanna Hathaway is an avid storyteller and history buff whose writing is inspired by her great-grandfather's participation in WWI. She loves traveling the globe, flying in airplanes, and is forever a “horse girl.” Born in Montréal, Canada, Hathaway now resides in Minnesota. Dark of the West is her debut novel. "Captivating . . . The prose is elegant, the characters intricate, and the worldbuilding enrapturing."